Most books treat GPS as a subtopic and don't tell everything you need to know about using GPS. 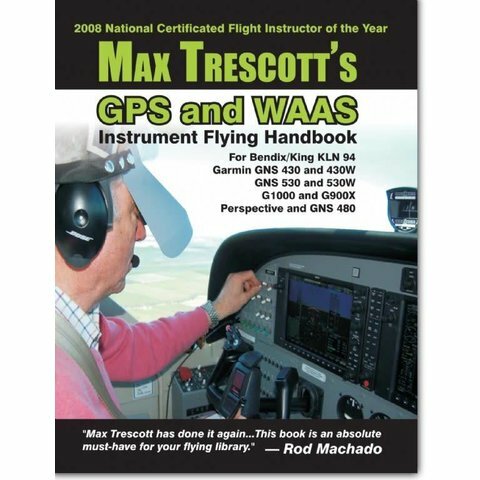 This new Max Trescott's GPS and WAAS Instrument Flying Handbook recognizes GPS is at the center of modern cockpits. He notes that GPS is not just add-on equipment. Designed for VFR and IFR pilots, the book tells you what you need to know to safely operate modern GPS systems. Included are step-by-step instructions for the Bendix/King KLN 94, Garmin GNS 430, 430W, 480, 530, 530W, G900X and G1000. Max Trescott, the 2008 National CFI of the Year, is and expert at teaching and not just telling you what to do. He gives you detailed instructions for operating the most popular panel-mounted GPSs. Max also explores common misconceptions such as "activating the approach". He then explains why you never need to do it. Experienced pilots may be surprised to learn why you should always load an approach with an IAF even when receiving vectors to final. He also explains the new WAAS minimums (LPV, LNAV/VNAV, LNAV, LNAV+V, and LP). Checking RAIM alone is no longer sufficient with a WAAS-capable GPS receiver; discover why. NTSB reports and NASA Aviation Safety Reporting System pilot reports are used to illustrate pitfalls in using and misusing GPS equipment. It is also full of practical GPS and IFR tips, gleaned from the industry's most experienced flight instructors. 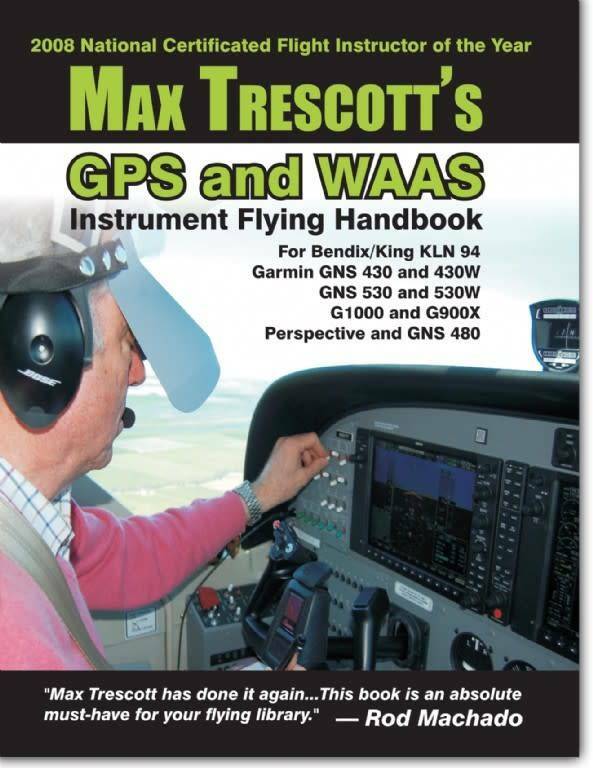 Serious pilots who want to understand all of the intricacies of using their GPS and autopilot will want a copy of Max Trescott's GPS and WAAS Instrument Flying Handbook. Soft cover, 272 pages, 40 in color, Illustrated The book includes more than 275 computer screen shots and photographs and an index. Max Trescott is also author of the bestseller Max Trescott's G1000 Glass Cockpit Handbook and of G1000 and WAAS CD-ROM courses.